The safety of their hard-earned money and easy accessibility to it are the twin concerns uppermost in the minds of silvers. That is why I get the least surprised when my silver friends bombard me with queries regarding the safety of their savings in various banks. Recently, a silver friend even went to the extent of prematurely closing his fixed deposits in a bank he thought may become fraught with problems, locking access to his deposits. Not only did he suffer losses owing to pre-closure penalty but had to settle for a lower interest rate offered by another bank. However, he felt these paled in comparison to the stress and sleepless nights he had been experiencing over the months, worrying about the safety of his money. These worries stemmed from news in various media related to huge losses suffered by public-sector banks. Reports say these banks need support running into trillions of rupees. Many silvers, already reeling under the after-effects of the demonitisation demon, are not willing to play the waiting game anymore. Additionally, bank scams and frauds that keep surfacing with increasing regularity have created a fear factor of sorts in the minds of account holders. Currently, the banking and financial sector is at a crossroads, bracing against challenges such as globalisation and the ever-increasing demands from corporate, government and retail sectors. The onslaught of technology and constant upgrades and changes have left it virtually gasping for air. Little wonder then, that with the dawn of the 21st century, the hitherto rock-solid banking infrastructure in India has begun to crumble at a rapid pace. Today, the dynamic, tech-savvy private sector banks are embracing new technology and expanding their reach. Their profitability, healthy balance sheets, and rapidly increasing market capitalisation are all indicative of their success. 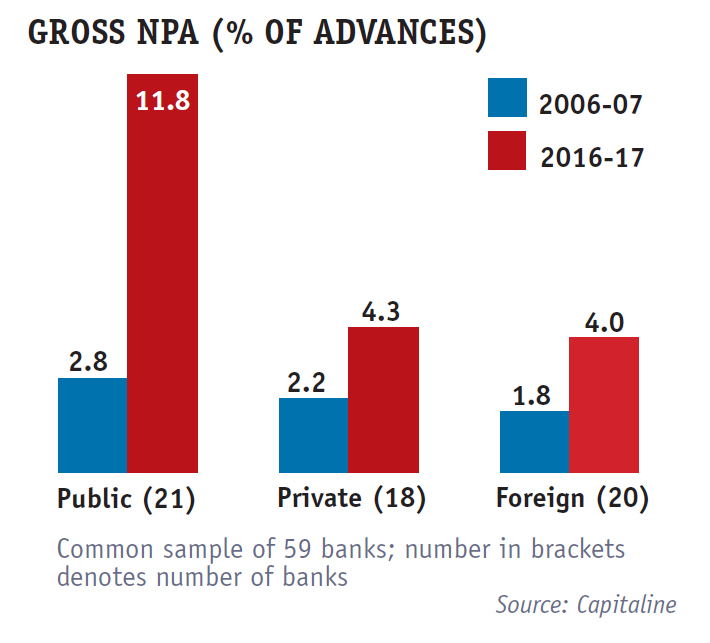 Contrastingly, many public-sector banks have experienced tepid growth and are struggling to stay afloat. As the central bank, the Reserve Bank of India is the apex monetary authority that regulates all banking institutions. While it may seem that this wide banking choice is advantageous to silvers, the fact is that it adds to their confusion. As their experiences in carrying out banking transactions vary over a period of time, they find it extremely challenging to zero in on a bank they can trust, and one that suits their needs. How good is your bank? Most silvers hold accounts in public-sector commercial banks such as the State Bank of India, Bank of Baroda, Canara Bank, Bank of India, Syndicate Bank, etc, and large cooperative banks. Some hold accounts in strong regional banks with a wide network of branches. Level of customer service provided. Cooperative banks garnered a large number of bank accounts primarily owing to the above mentioned factors. The safety of money deposited in a bank wasn’t a prominent concern earlier because most people considered negative news related to a bank’s functioning a rare occurrence. Apprehension about the stability of the bank. The retail customer base of private-sector banks derives its strength from the upwardly mobile and expanding young middle class. This demographic is more open to adapting to the Internet and embracing new banking technology. 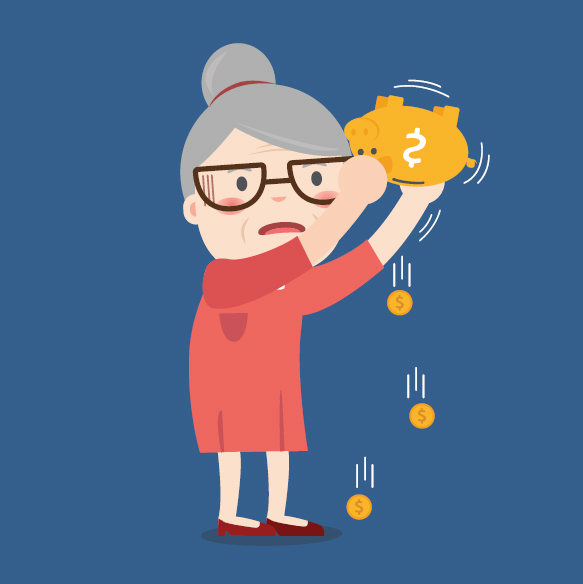 Now, efforts are afoot to rope in tech-oriented silvers through special senior citizens’ accounts. These accounts have higher fees and minimum balance requirements when compared to public-sector banks. There has been a rapid expansion of these bank branches over the past few years. 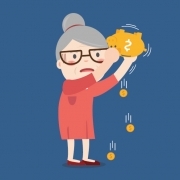 Tech-savvy, new silvers who have just crossed retirement age have now begun to favour these banks, regardless of rare glitches. An important reason why public-sector banks lost their reputation as reliable banking institutions can be attributed to adverse publicity received owing to their ballooning non-performing-assets (NPAs). banks have failed on four major parameters: profitability, capital strength, asset quality and customer service. Silvers do keep wondering what these NPAs are and the bearing they have on a bank’s performance. NPAs are stressed assets; loans extended that are unrecoverable or difficult to recover and reflect as bad debts in the bank’s accounts. Bank customers look upon these as a misuse of their funds. The frauds and scams of humungous proportions, such as the ones led by Nirav Modi, Vijay Mallya and many others, have tarnished the image of banks. These incidents have shaken the unquestionable faith that people placed in their banks. In a recent interview, Prime Minister Narendra Modi stated that banking reforms are being unveiled to ensure that “banks are strongly placed to contribute towards overall economic growth”. The Government of India has unveiled a two-year plan to strengthen public-sector banks through reforms and capital infusion of ₹ 2.11 lakh crore ($ 32.5 billion). However, the common man is unwilling to forget that this was the money he gave the banks for safe custody. The aim of these measures is to enable public-sector banks to play a more prominent role in the financial system and meet the financial demands of the fastest growing economy in the world. The Insolvency and Bankruptcy Code (Amendment) Ordinance 2017 Bill passed by the Rajya Sabha is another step in this direction. Where do silvers fit into these laudable efforts to save and sustain banks that serve the common man? Do these assurances pacify silvers who feel they are being jostled and trampled upon in the mad rush to create a brave new digital world? Most believe and agree that the banking industry in our country lacks reliability and efficiency and fails miserably when it comes to customer service. In the US and other developed countries, there are organisations that actively go after banks to receive what is rightful and pressurise them not to squander the money of account holders. India is a far cry from such customer-centric activism. Unfortunately, the regulatory bodies and the Government have failed to allay the fears of the larger public in the country’s banking system. Everyone loves easy banking with a great customer experience. But this is not the norm in India. Digital banking has brought dramatic changes in the way people interact with banks. If these interactions are tedious and fail to work seamlessly, the customer is likely to switch to another bank. Millennials and Generation Y are more apt to transition to another bank if they’re dissatisfied with the service they receive from their existing one. The new generation of silvers is also more demanding. If they find that the digital environment at their bank is cumbersome or unfriendly, they won’t hesitate to look for other banking options. On the other hand, super senior citizens don’t have this adventurous streak and are more loyal to the banks they hold accounts in. They can only be cautious, and wish and hope for a hassle-free banking experience.